A wonderful opportunity to appreciate the splendid beauty of Singapore from both land and air! Thanks to our Singapore City Tour with Flyer experience. While our city-tour gives you an up-close view of attractions like Merlion Park, Suntec City, Fountain of Wealth, Orchard Road, and Little India as well as China Town, the Singapore Flyer ticket allows you to soak up the incomparable sights over the skyline of the city-state during your 30-minute flight aboard Asia’s biggest observation wheel. Take all confusions and hassles out of planning your perfect short getaway to Singapore by choosing our Enchanting Views! Combining your favorite lodging and all transfers with Singapore must-sees and dos, our holiday specialists have hand-selected this three-night package to ensure the most enthralling vacation experience. See Singapore in all its glory on a city tour inclusive of the iconic Singapore Flyer experience. Discover a wealth of culture, history, and modernity, as you breeze your way through the sights along Civic District, Marina Bay, Orchard Road, Little India, Chinatown etc. There will also stopover at spots including the popular Merlion Stature, where you can take some amazing pictures while immersing in its picturesque as well as pulsating ambience. 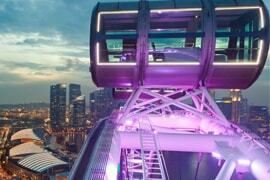 For a brand new perspective of Singapore sights, head over to Singapore Flyer. A 30-minute rotation on this giant observation wheel beguiles you with the most exquisite vistas over the cityscape. With 28 air-conditioned glass capsules, it will mount you up to a height of 165 meters, giving you the most refreshing views of Marina Bay, Merlion Park, Singapore River etc. 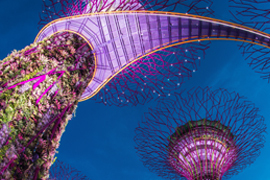 Your enchanting holiday becomes even more endearing as you tour one-of-its-kind Gardens by the Bay. This lets you experience the resplendent greenery and serenity in the heart of Singapore. From Flower Dome, Cloud Forest, and Supertree Grove to Dragonfly and Kingfisher Lakes and Heritage Gardens, you can explore its diverse attractions filled with several different varieties of plants and flowers including a 1000-year-old olive tree. Moreover, be sure to take a leisurely walk along the suspended Supertree walkways for the most exquisite views of both the garden and the city. On our last trip to Singapore, we chose this tour package by Rayna Tours. I am so happy with the service and the tour. Our hotel room was as promised. It was classy and comfortable. During the tour, we got to see the beautiful locales of Singapore. Moreover, the guide gave us lot of information about the trip, making it more interesting. Out of all the tour, we enjoyed the Singapore Flyer the best. Will book more packages with Rayna! I have never been to Singapore before and was not sure how to go about it. My tour representative at Rayna Tours helped me to choose this tour package according to my requirements. The tour was well planned. 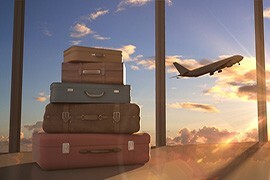 Right from the tours to the airport transfers and hotel stay, I found everything satisfying. I look forward to many more holidays with Rayna Tours in the future.